Open salon version with four cabin "owners version" lay out, plus crew. Among the many intriguing features of the Leopard 58, the flybridge with seating for up to 10 people as well as outdoor kitchen and grill is one of the most impressive focal points. Enjoy meals, lounging, and taking in beautiful panoramic views on this expansive flybridge. 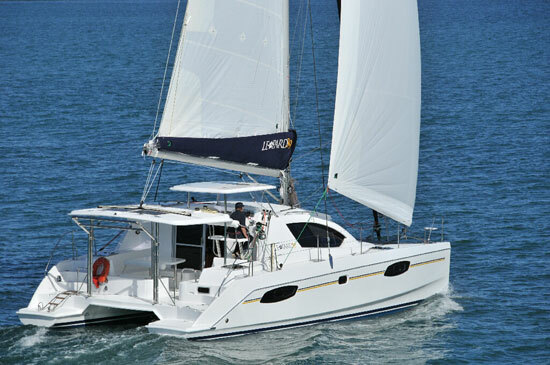 The large open aft deck and forward cockpit offer additional space for alfresco dining or lounging. To enhance durability and beauty, the flybridge, the aft deck and forward cockpit are all covered in TekDek, a lightweight high impact simulated teak. Just one Leopard 58 available at this price! 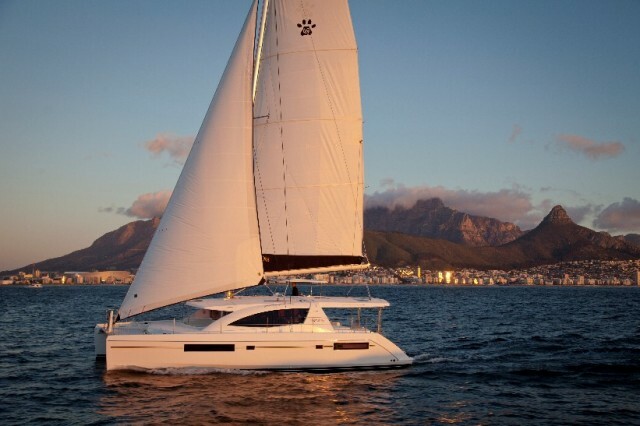 This yacht is very well equipped and has the preferred 4 cabin owners version lay out with forward crew cabin. 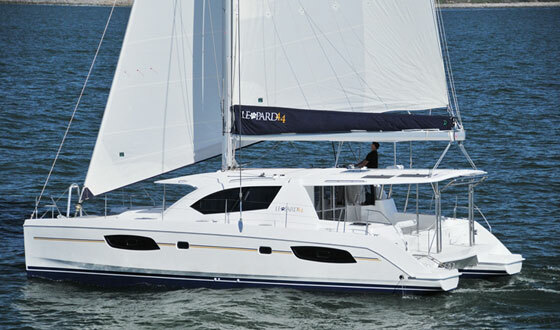 The Leopard 58 offers the largest fly bridge of any production catamaran in this size range, and the sailing performance is remarkable. With an open salon, different lounge areas, 3 levels from cabins to fly bridge, you can always find a comfortable place to lounge. 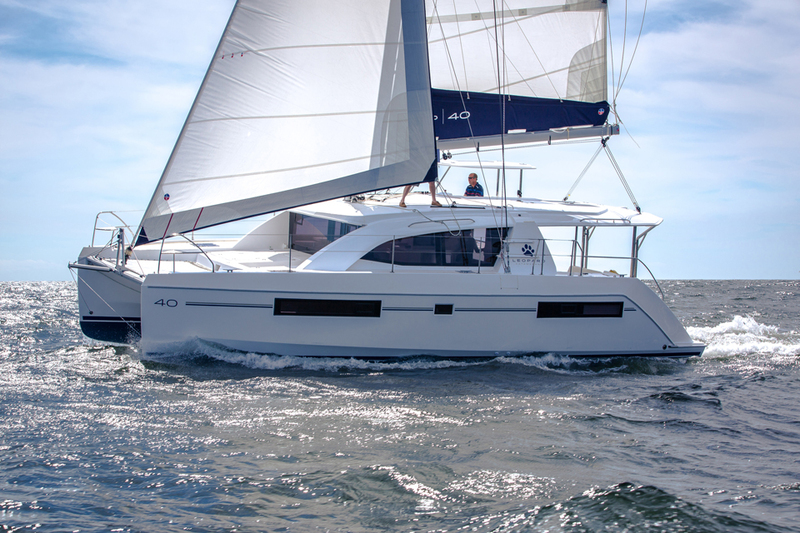 This is the only Leopard 58 available till March 2020, and we are offering her at a very attractive price. 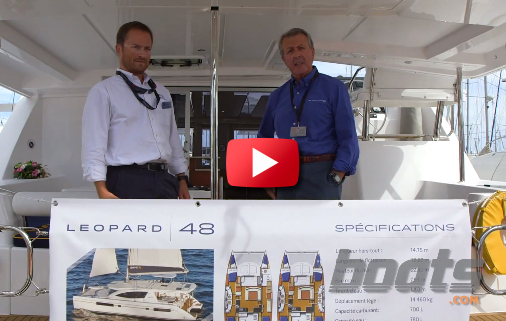 Please ask Dealer for "Standard Equipment List", many exceptional features are included in the standard equipment of the boat, such as composite teak deck, LED ambient lighting, mainsail & stack pack, self tacking jib, fly bridge hardtop and much more. -Upgraded AGM batteries for house, engines and generator. The Leopard 58 is CE and NMMA certified and US duty paid upon entry. 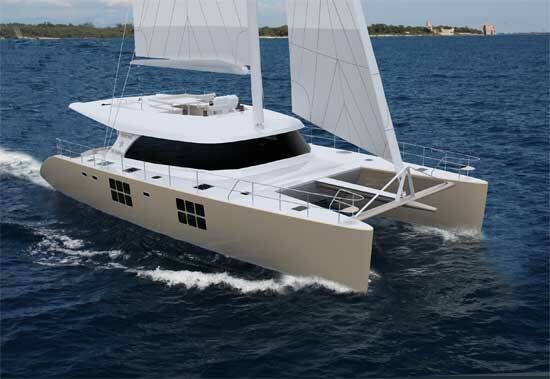 The price includes all options listed above, delivered to Ft Lauderdale in June 2019, commissioned, fueled up, ready to go sailing.